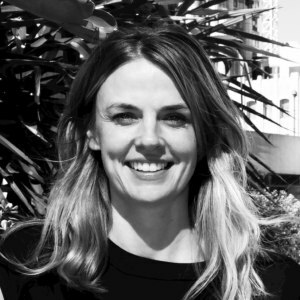 to become Host/Havas and CEO Laura Aldington believes the new agency has “hit its stride”. Now at 200 people, Host/Havas has “gelled, galvanised and fallen into place”, Aldington said, with its recent win of the Heart Foundation creative account solidifying its position in market. The agency is now preparing to move out if its Surry Hills and Clarence St digs into a new space on Harrington Street in Sydney’s CBD, accomodating the entire Havas Sydney 500-strong workforce, including One Green Bean and Havas Media. “Our move mark the end of our transition and the dawn of a new chapter at the agency,” Aldington said. The move will also facilitate Havas' global “Village” model, which sees it collaborate on clients across PR, creative and media. It was announced last October that Host and Havas planned to merge. Havas, a global agency network, acquired a 51% stake in Sydney-based Host in 2011. Formed in 2010, Host was founded by Anthony Freedman, who is now the chairman of Host/Havas. As a result of the merger, Adlington who was previously the CEO of Host, stepped up to the CEO of the newly-merged entity with Havas CEO Anthony Gregorio departing. He later resurfaced as the CEO of Saatchi & Saatchi. Like any merger, Aldington admitted merging Havas and Host wasn’t without its challenges. “Change naturally brings apprehension and when you merge two companies you create a huge amount of change for a large number of people overnight,” she said. A merger is often associated with efficiency, Aldington explained, and staff were immediately weary of redundancies. “Our strategy was one that was born out of opportunity rather than efficiency. As a result, we’ve lost only a few roles in the bringing together of the businesses, but that doesn’t mean there wasn’t criticism and anxiety at the outset,” she said. Another challenge Aldington faced leading the merger, was the size of the agency. “We were born big, which is a different start point compared to other big agencies. Two midsize agencies became a really big agency overnight and that’s something we had to wrap our heads around,” she said. Host/Havas’ success at Cannes Lions this year, taking home three Grand Prix for its Palau Pledge work, saw the two agencies come together to celebrate the accolades. While the concept was originally created by the Havas team, Aldington said it’s a campaign that inspired the whole agency and set the benchmark for the standard of work it can achieve. Creating work for clients such as Air New Zealand, Chatime and Defence Force, which is currently reviewing its creative and media agencies, Aldington said Host/Havas has set the ambition to become the most “progressive agency in Australia”. With Havas globally tightening its relationship with its parent company, Vivendi, Aldington said we should expect to see greater collaboration between Host/Havas and Vivendi companies such as Universal Music and Canal Group. Aldington couldn’t comment on the ongoing Defence Force review, which is the agency’s biggest client, but said business wins and losses are the “nature of the business”. “There will always be clients coming in and clients that you have to part with. It’s all about having the right mindset and being clear with your vision and objectives. That should be regardless of the fluctuations of business,” she said. Will the Host name remain? Globally, Havas is a more reputable brand name than Host, but Aldington said Host has a stronger local reputation that she’s not willing to sacrifice just yet. Host launched in 2000 as an agency without a creative department, instead tapping into freelancers and contractors when required as a way of being flexible. Host moved away from this model prior to the merger with Havas, introducing a more structured team in 2013 and hiring chief creative officer Darren Spiller in 2017. Spiller exited earlier this year post-merger to make way for the new creative leaders of the agency, ECDs Seamus Higgins, Ant Melder and Jon Austin. Host was known for its unique model and plethora of talent which passed through the ranks in its early days. “Host has actually been around for longer than Havas in Australia, so it made sense to keep both the names for the reason. Host is an Australian creative agency brand and Havas brings it with the association with a global network,” Aldington said. When it comes to female CEOs, they are still few and far between in Australia but the group is growing. Despite advancements in the industry in this space, Aldington said she’s still disappointed that she can count the creative agency female leaders on two hands. Aldington was one of three female leaders recognised on the Top 10 Ad Agency Leaders this year. "I'm conflicted on my view of women in the industry. One on hand, I feel like I'd do it a disservice to peole to so it's hard, because I want people to hang in there and if I can do it, I'm sure they can, but I also think its a disservice to say it's easy," she said. "The reason I believe it's still hard is because I think the broader cultural context and system in which we operate is still making it quite hard for women to do well, especially post motherhood." "What's quite damaging for me is the notion that women just need to lean in more and get more organised or we just need to toughen up." A recent AdNews survey found women in advertising and marketing delay having children to after 30 years old. 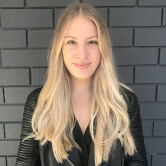 AdNews also revealed the various parental policies in place by agencies, media owners and tech companies, showing a shift to better help mothers reenter the workforce. There may be a fundamental shift happening in the industry, but Aldington said she was still asked at Cannes Lions dozens of time who was watching her children while she was away. The same question was not asked of her male colleagues. "Until we make more changes, women will always feel like they have to work harder than men to get to the same place." If you're a woman in creative who wants to share your story, join the Women in Creative APAC group on LinkedIn and get in contact. It’s been almost one year since Host and Havas merged to become Host/Havas and CEO Laura Aldington believes the new agency has “hit its stride”.